To order this printed edition with Free download card click the red ADD TO CART button above. To order the Digital Download Recording only click the shopping cart icon below. 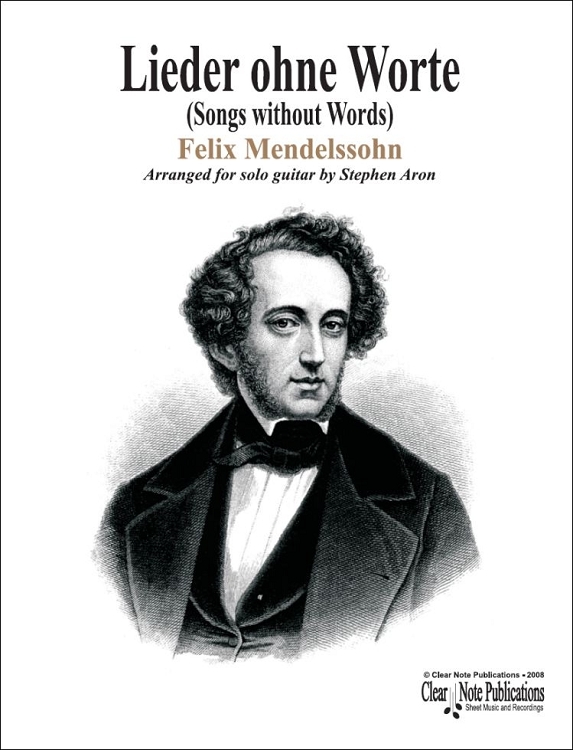 Felix Mendelssohn's "Songs Without Words" have been among the most beloved works in the classical repertoire since their introduction. Generation after generation of performer, student and music lover has embraced these short, compelling piano pieces and made them their own. This edition presents, for the first time, a majority of the "Songs" in new arrangements for solo guitar. Of the forty-eight original works, thirty are included here, meticulously edited and realized for performance on guitar. 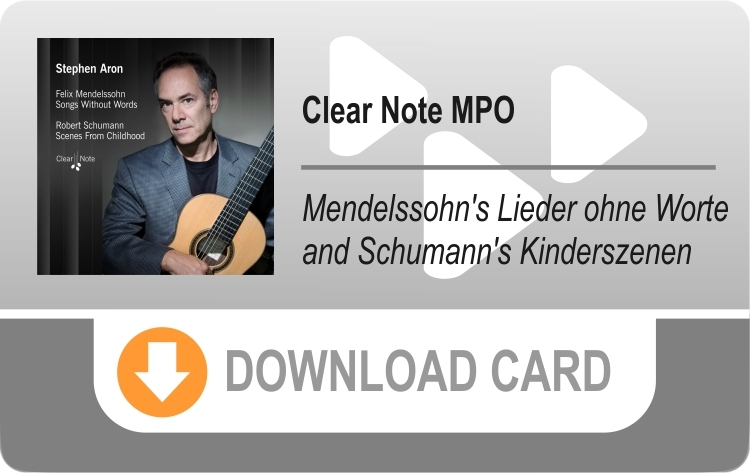 The arrangements are literal, in that they endeavor to present Mendelssohn's music as unchanged as possible. The keys are different, but the music is otherwise remarkably faithful to the original scores. Most important, though, the arrangements are each devised with real, concert-tempo performance in mind, and so have been carefully fingered for maximum playability. The scores look, at first glance, unlike many other guitar scores. 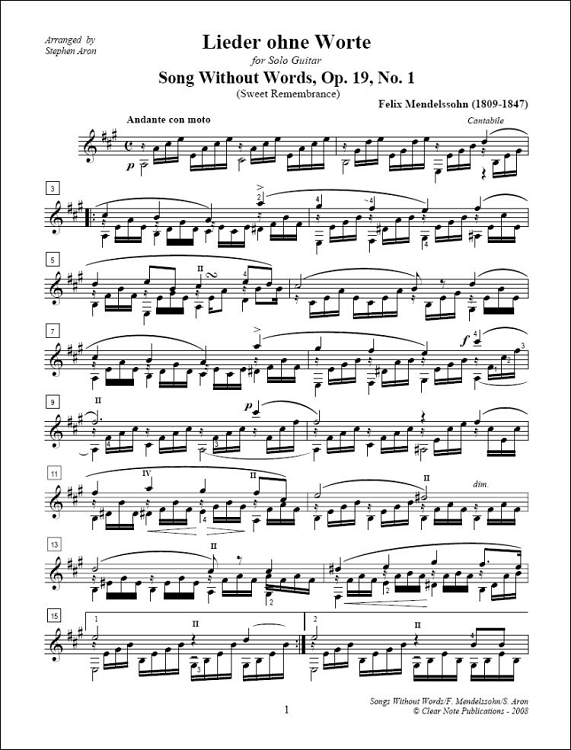 This is because all of the phrase markings from the original piano scores have been included. The guitarist is advised that phrase lines are placed above (or below) stems and beams, whereas slurs in this score connect the note heads. 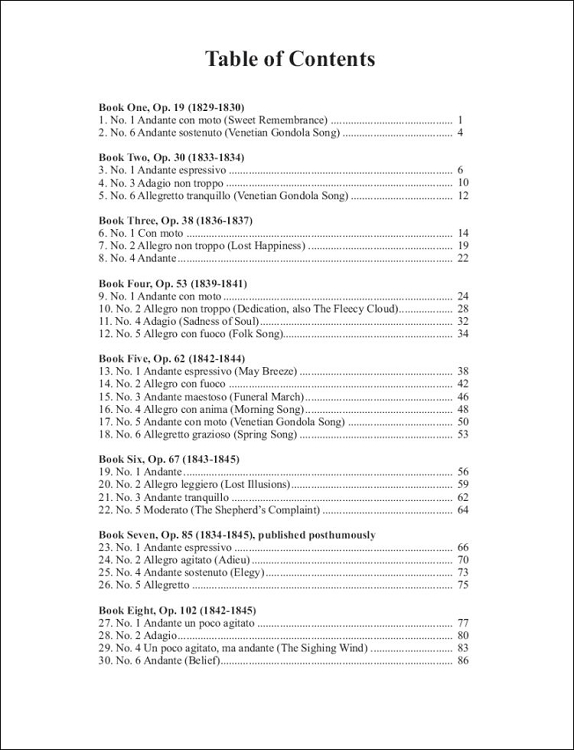 It is my sincere hope you enjoy these works as much as I have, and find in them the many delights and pleasures shared by pianists for so many years.